Will Platooning Get a Chance? | Eckert & Associates, P.A. There certainly was a lot of buzz regarding truck platooning and truck automation in 2018, with the industry facing strong headwinds from a variety of sources. The lack of driver capacity increased governmental regulations and a pent-up demand for freight all conspired to drive trucking rates up. For the first time in recent history, these factors tilted the balance of power to the carriers. One of the results of this change in dynamic was a renewed desire to automate and streamline the trucking industry. One of the fair-haired technologies that received a lot of attention in 2018 was platooning. Let’s start by defining platooning. Platooning is a process where trucks connect in a line through cooperative adaptive cruise control (CACC). This is done with forward looking radar sensors and electronic engagement of engine and brakes. This connection allows following trucks to react immediately to the actions of the lead truck. All trucks in a platoon truck line accelerate and brake together so they can safely operate at much closer distances than the norm. Safety sensors detect stopped or slow vehicles and alert the lead driver to apply brakes. This is very similar to the cruise control we have used in vehicles in the U.S. since the 1950s. Fuel savings is one of the proposed advantages that is achieved by platooning. Some studies show a fuel burn reduction of more than 7% in follow trucks. NASCAR drivers have long known about and taken advantage of the fuel savings that come from the improved aerodynamics related to drafting or following closely behind another vehicle. These studies also show a fuel savings in the lead truck of 4.5% as a result of the elimination of the vacuum that exists in the rear of a single truck. Forward looking radar sensors can see further and react faster than human drivers, so the reaction time in many scenarios can be drastically improved. 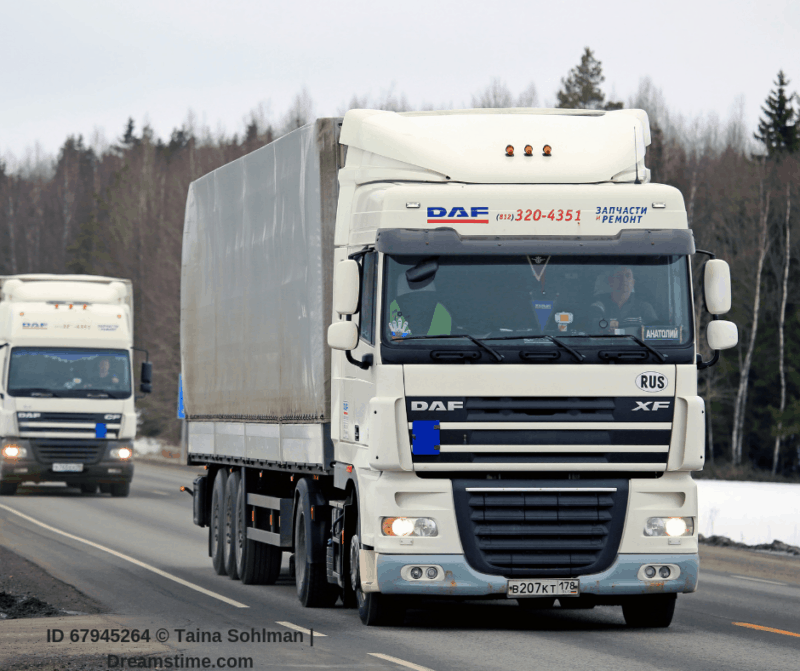 In heavy traffic areas platooning can be a huge benefit because it will reduce the traffic accordion effect and substantially increase lane capacity. The accordion effect is the impact of typical accelerations and decelerations when a vehicle in front accelerates or decelerates. These fluctuations typically become more pronounced the more traffic you have in a line and drastically decreased the amount of throughput in road traffic. However, the platooning concept was dealt a huge blow in January of this year. Major truck manufacturer Daimler announced that they would no longer focus research and development resources on platooning but would focus on advancing their position in vehicle automation. Daimler said that their independent research in platoon operations resulted in “no actual business case” to advance the technology. The Daimler testing showed only a 4% improvement in fuel consumption on follow trucks and a negligible amount of savings in lead trucks. While Daimler’s decision to not pursue platooning research or offer platooning equipment as a stock item on new trucks is a strong setback for the concept, it is far from a death blow. The National Highway Transportation Safety Administration (NHTSA) has recently released new guidelines for Automated Driving Systems (ADS). Twenty-two states and the District of Columbia have passed legislation related to the use and operation of autonomous vehicles and an additional ten states have issue Executive orders related to autonomous vehicles. Some examples of these state legislations are related to the repealing of “following too close” laws if the trucks are engaged in the act of using CACC (Corrective Adaptive Cruise Control). Other states are encouraging the formation of technology feasibility studies and safety studies while most states have passed legislation that seek to encourage future development and application of CACC or totally autonomous vehicles. In that respect, government initiatives and research may possibly be the springboard for the development and implementation of this technology, but there remain strong head winds. There are legitimate safety concerns that must not be ignored. The equipment needed to become a “platoon ready” truck is costly and if other truck manufacturers follow Daimler’s lead and chooses to not offer that equipment the market of equipped tractors may be shallow. Finally, we work and live in an industry that is generally slow to adapt new processes for daily operation. Will platooning get a chance? I think we will have to follow the news closely this year, and I believe the final verdict will come from the development and testing in individual states. Forward thinking regions that are eager to improve industry in general and reduce greenhouse gases, highway congestion, and improve vehicle safety will be working hard to validate the concept as a winner. That success could drive adaptation and ultimately widespread use. Ike Sherlock is the President of Total Distribution, Inc., formerly The Grimes Companies. He is a 12-year member of the corporate team and has 17 years of experience in transportation and logistics. He has received multiple National Carrier of the Year awards in the grocery industry. Sherlock is very active in the transportation and logistics and local communities. He is the current President of the Jacksonville Roundtable of the Council of Supply Chain Management Professionals (CSCMP), Florida State Director of the Southeastern Warehouse Association (SWA), Co-Chair of the Transportation Council for the International Warehouse and Logistics Association (IWLA) and Sargent of Arms for the Rotary Club of West Jacksonville, as well as a member of the Jacksonville Presidents Coalition (JPC), The Transportation Club of Jacksonville (TCJAX), The Jacksonville Propeller Club (JPC) and the Florida Trucking Association (FTA). A native of Alabama, Sherlock received his Bachelor of Science from Troy University. Sherlock lives in Jacksonville with his wife Jennifer and two sons, Hazen and Connor. He is an avid golfer and enjoys running in his free time.